Many plants are toxic to dogs. Our dog Beau ate some daylily leaves and vomited all day. We were becoming concerned because he couldn't even keep down water. This persuaded me to make a list of plants that are toxic to dogs. 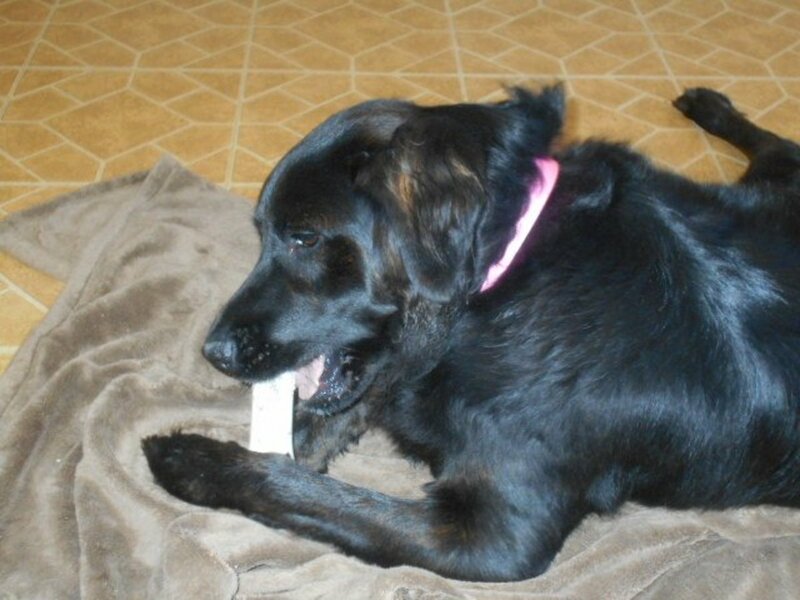 Owners need to be aware that some dogs will try to eat almost anything. It is helpful to know which common garden plants are toxic to them. There are over 700 varieties of plants that can make your animal sick and I can't list them all here, but I will list some of the most common that may be found in your yard. The leaves, bulbs and flowers of some plants are poisonous and can cause serious problems and even death. Hopefully this list will spare some animals discomfort or even possible death. Many plants and flowers have a sweet scent and that causes dogs to think they are edible. These lists are just a guideline, so if your pet eats something unusual, you need to call your vet. I am an animal lover that has completed a lot of research, but I am not an expert. I have many of the flowers on the list and I'm not willing to give up my perennial flower beds. My solution has been to move the most dangerous plants to an area away from the pets and keep an eye on them when they play in the yard. Of course I can't always do this every minute and neither can you. You'll usually be able to tell if they have been eating something, because they'll still have a little residue in their mouth. If your dog is salivating heavily or appears ill, make him open his mouth. You may see piece of the plant in there. If not check your plants and you should be able to tell if he has been eating any. Call your vet immediately if he/she has consumed anything dangerous. Boston Ivy - All parts of the plant will cause swollen or sore tongue, lips and mouth. Cactus - These can cause a rash or sores from the pricks they get from the spiky leaves. The sores or rash can become infected. Chrysanthemums - These will cause the dog to get a rash either on his skin or mouth. Poison Ivy - Most of us can identify poison ivy with its three leaves. Even if your dog isn't allergic to this plant, if he has gotten it on his coat, you can have the oils can rub on you. If you are allergic, you can get poison ivy. Poison Oak - Poison oak is much like poison ivy and you can get it just by petting your dog, if he has been in some. If he is allergic, he'll break out from it. Even though these plants are listed as just causing gastric problems, treat this seriously. A dog can become dehydrated and need immediate medical care. Dehydration can not only be serious, but in some cases cause death. Watch your pet closely. American Mistletoe - The berries will cause problems. Southern Yew - Be sure you have properly identified this plant, because some yews are toxic. This shrub is just mildly toxic. Both the seeds and leaves will cause vomiting and diarrhea. Angel Wings - The leaves and stems are poisonous. This plant is just considered mildly toxic, but I wouldn't take any chances. The dog will have pain and an irritated mouth, dermatitis and swelling. Autumn Crocus - If you know that your dog has ingested the bulb or plant this is serious. This plant can cause your pet to go into shock, cause renal damage, nausea and vomiting, pain in the mouth, throat and abdomen, and cause diarrhea. Get the animal emergency medical help as soon as possible. Apricot - Stems, leaves and seeds are toxic. Don't allow the dog to eat the fruit, because they may accidentally swallow a pit this way. Your pet may go into shock and the animal should be taken immediately for medical care. 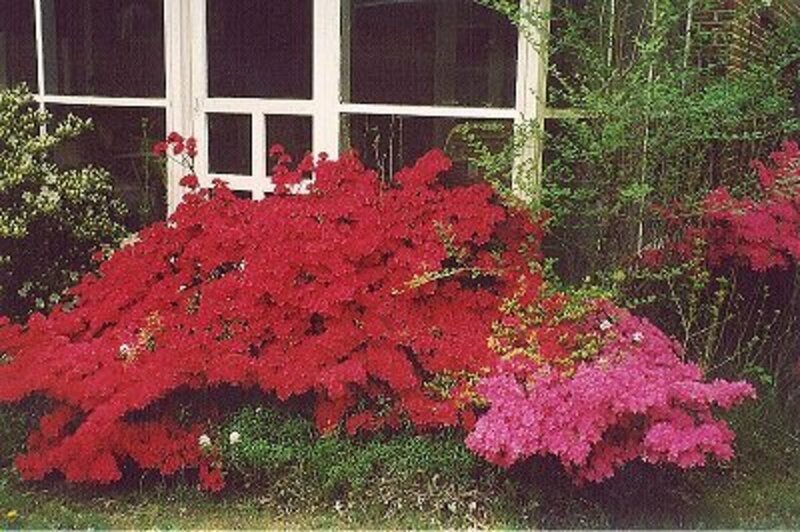 Azaleas - Azaleas are shrubs that are used to beautify your landscaping. 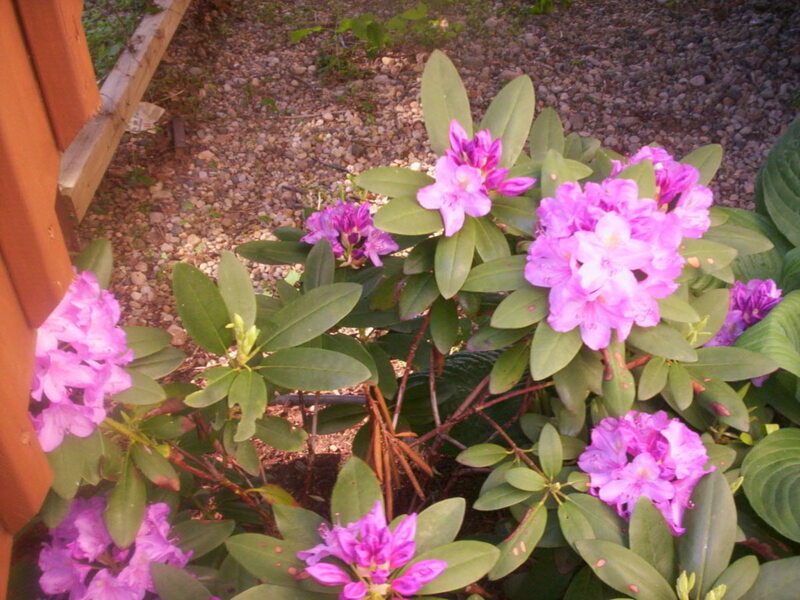 They bloom in early spring and are beautiful, but they are in the rhodedendron family. If the dog eats just a couple of leaves it can cause a stomach ache, excessive drooling, abnormal heart beat, and paralysis in their legs. Call your vet immediately if you think your dog has eaten any leaves, because it can occasionally cause coma and death. Bleeding Heart - Also called Dutchman's Breeches or Squirrel Corn. All parts of the plant are poisonous. This plant contains alkoloids and if your dog consumes it, you need to seek medical care immediately. Caladium - All parts of the plant are poisonous. The dog will need to be taken to the vet immediately. This plant is usually grown from a bulb and in northern areas is replanted every year. I would not plant these where pets will be. Castor Beans - All parts of these plants should be avoided because it is highly toxic. Some people plant these in their yards to get rid of moles. I advice not to have them in your yard at all if you have pets. Symptoms that your dog has ingested these is bloody diarrhea, nausea, dehydration, excessive thirst, muscle twitching, weakness, convulsions and coma. Even if the dog doesn't display all of these symptoms, get your dog to the vet as soon as possible. Choke Cherry - The leaves, seeds (pits), stems and bark are all considered very toxic. Seek professional help immediately. 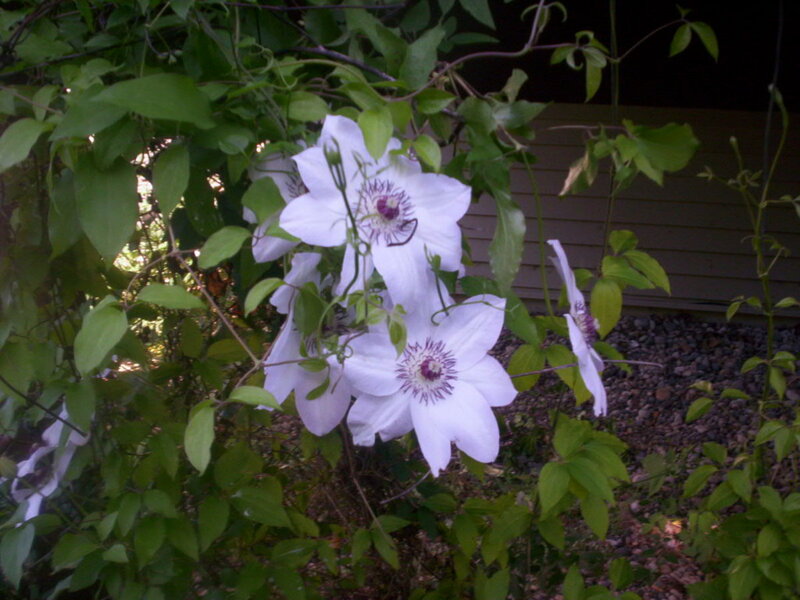 Clematis - The stems and leaves of this vine are toxic to dogs. Clematis comes in many different colors. Seek professional help. Delphinium - This plant is also known as Larkspur. All parts of the plant are toxic. Elderberry - The berries are edible when ripe, but the rest of the plant should not be eaten. Dogs rarely eat this plant, but you should still be aware that it can be toxic. English Ivy - The leaves and berries are both considered very toxic. Seek help immediately. Foxglove - The flowers leaves and seeds are poisonous to both humans and animals. If your dog ate any of these, this is an emergency. Heliotrope - The plant looks nice in a pot on your patio, but beware if you have a dog. Even tiny bites can cause liver damage. If the dogs continues to take little nips of it, it can cause death. Hydrangea - The leaves and buds will both cause irritation and inflammation of the digestive tract. The dog will have a bloody stool. 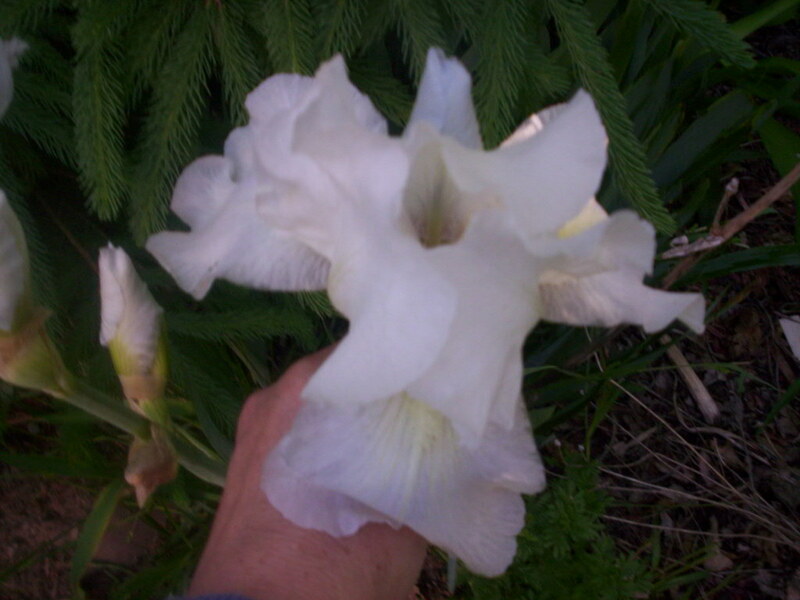 Iris - The rhizomes and rootstock are poisonous. Since the rhizomes grow above the ground, they are easy to access. Dogs don't usually eat these, but if they do you need to call the vet. Lantana - The immature green berries can cause severe problems which include diarrhea, vomiting, lethargy and weakness. Lily of the Valley - All parts of the plant are considered extremely poisonous. Seek medical help immediately. Monkshood - This plant is also known as Aconite and Wolfsbane. All parts of the plant are extremely poisonous. At one time it was used in Europe to kill wolves and mad dogs. If you have this plant, pull it out immediately. If it is too late and your dog has already eaten the plant, seek medical help immediately. Morning Glory - The seeds are toxic. This can be severe. Call the vet if your dog has eaten any. It will cause diarrhea and nausea, urination will be increased and can cause your dog to have hallucinations. Mushrooms - If you see these growing in the yard, remove them as soon as possible. Some poison mushrooms can kill your dog. 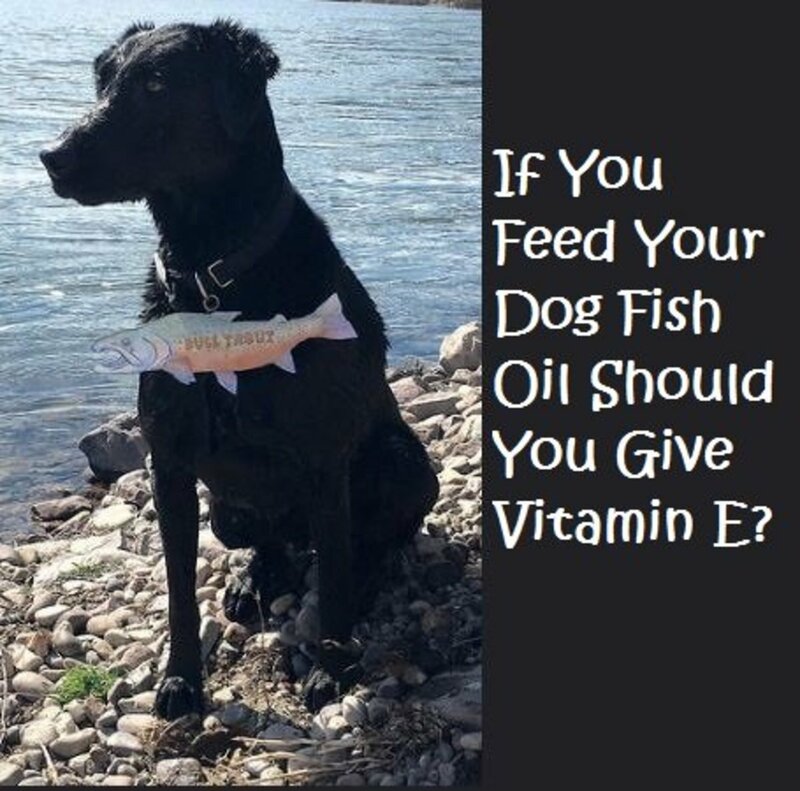 If your dog does consume one, get them to the vet immediately. Some mushrooms aren't as toxic as others and some are safe to eat, but don't take a chance unless you are an expert at identifying them. If possible take a sample with you, so the vet knows what they are dealing with. Symptoms after eating a mushroom are abdominal pain, excessive drooling, diarrhea, vomiting, possible convulsions, and possibly coma. Oleander - The entire plant is toxic and can cause death. Get medical care immediately. Onions and Garlic - If you've got these growing in the garden, keep the dogs away. These two plants contain thiosulfate. Onions are more dangerous than garlic. 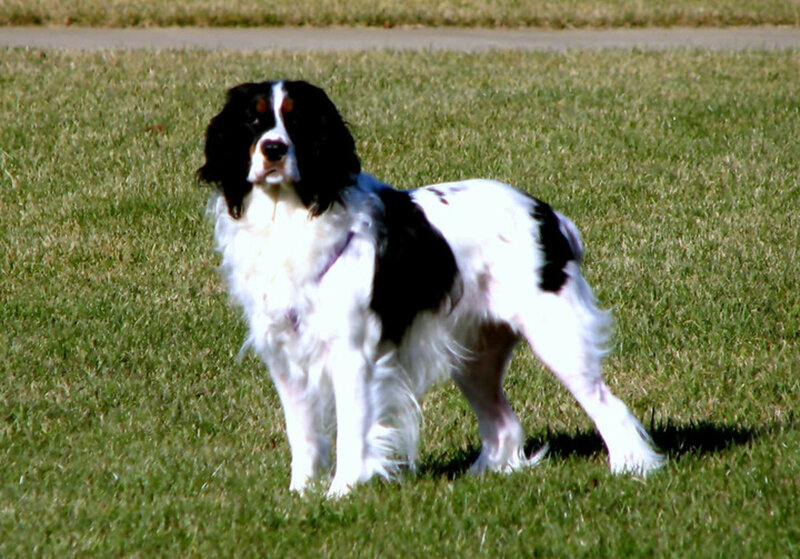 Both can cause a type of anemia in dogs where the red blood cells actually burst. If they are eaten in large enough amounts this can cause liver damage, labored breathing, vomiting, diarrhea, and discolored urine. Do not feed dogs with leftovers containing onions or garlic either. If your dog ingested any of these in a large quantity or have any of these symptoms, a trip to the vet is a must. Symptoms don't usually occur for a couple of days. We used to feed our dogs leftover pizza and spaghetti, but no longer. Garlic isn't as toxic as onions and large amounts of it needs to be eaten to cause symptoms. Keep your dog away from both. Potato Plant - The entire plant is toxic. These may cause death. This is an emergency. Rhododendron - The flowers and leaves cause gastric problems. These can cause cardiac and liver problems, so you need to call a vet. Rhubarb - The stems are edible, but the leaves are toxic. Seek medical help immediately. Star of Bethlehem - This is an early Spring blooming flower that grows from a bulb. The plant can be identified by its tiny blooms that are white and star shaped. Tomatoes - The entire plant is so toxic that it can be fatal for the dog. Most dogs won't eat a tomato plant because they don't like the smell. If your dog does consume one, seek help immediately. Even the fruit of tomatoes can be toxic to dogs if they eat enough. Note, only if they eat enough. I've gotten a lot of feedback on this one. Yes, my dogs have eaten leftover spaghetti and sauce and haven't gotten sick. You shouldn't feed your dogs leftovers of anything containing tomatoes though. It isn't good for them and if they eat enough, yes it can be toxic. Tulips - Tulips are considered just mildly toxic. The bulb is the toxic part and people in Holland ate these at one time. They will cause diarrhea, depression, lack of appetite and heavy salivation. Yellow Oleander - The entire plant is toxic and can be fatal. Seek medical help immediately. Yew - Because of the rough surface yews have, it would be unusual for your dog to eat it. If the dog does though, it can be fatal. Get help immediately. I am keeping the plants that may cause serious problems out of my yard. The flowers and shrubs just aren't worth taking a chance. Remove the plants immediately and either plant in an area where your dogs won't be tempted or dispose of them. Disclaimer: I am not a professional in this area. Always call the local animal hospital for help if your pet consumes any of these plants. Many plants that may be toxic for your pet are not included on this list. 700 plants can be toxic to your dog. Can nibbling on a gardina kill a dog? If it is a small dog, it might. Any other dog it might just give them a tummy ache. Nibbling means they aren't consuming a lot at a time. If they consume a large amount, a trip to the vet is in order. No. Petunias are not poisonous to dogs. Are Forever Susan lily bulbs toxic for dogs? Forever Susan lilies are Asiatics and are beautiful. 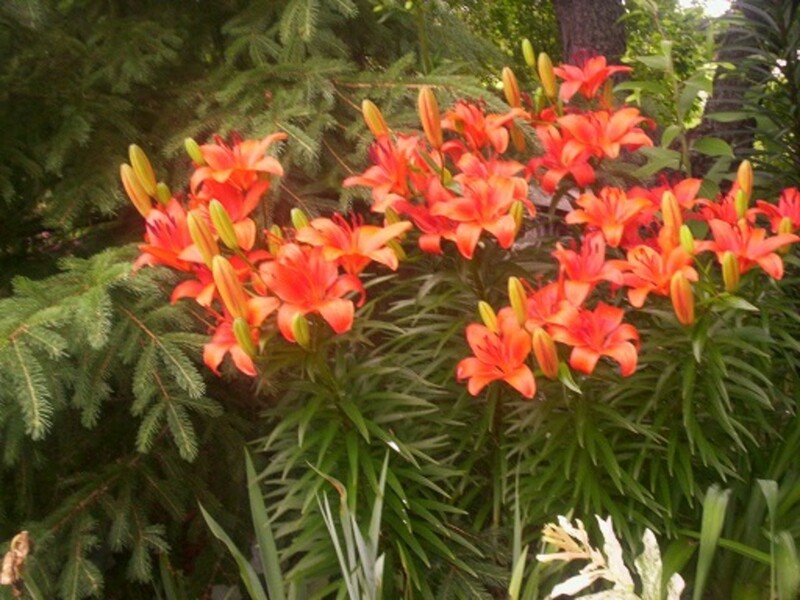 Lilies are poisonous for cats, but may just cause indigestion for dogs. Nancy, Many of these plants dogs will smell them and not touch them. There is the odd plant that smells edible to them that they do. My crazy dog still tries to eat daylilies. It seems he'd remember how sick they made him. Thanks for commenting. Barbara, thank you for this. Some of these plants you've listed I knew about, but there's a lot of them I didn't. I no longer have a dog, but my grown kids do and they also have yards and flowers. I will be sure to send them this link. Thanks again. donanna, Thanks for adding that. I'm not familiar with the plant. Apple of Peru, also known as lantern plant, is 100% posionous to all animals and humans. It has beautiful blue/white flowers that turn into paper lanterns full of seeds. I have a few too many daylily plants as well, and I have had to steer Zoe away from them (I too believe she thought they were grass). The weird thing is that she actually did have a debilitating situation last year where it seemed that she had paralyzed her hind quarters... she couldn't walk. We took her to the Vet and he "fixed her up" but we didn't really have an adequate answer to our questions about what happened. She tends to sample bits of herbery as we go for our walks... so we will 'up' our vigilance. Thanks again for the article! techygran, I wouldn't worry about all of them, because the only one my dog seems interested in our yard are the daylily leaves. 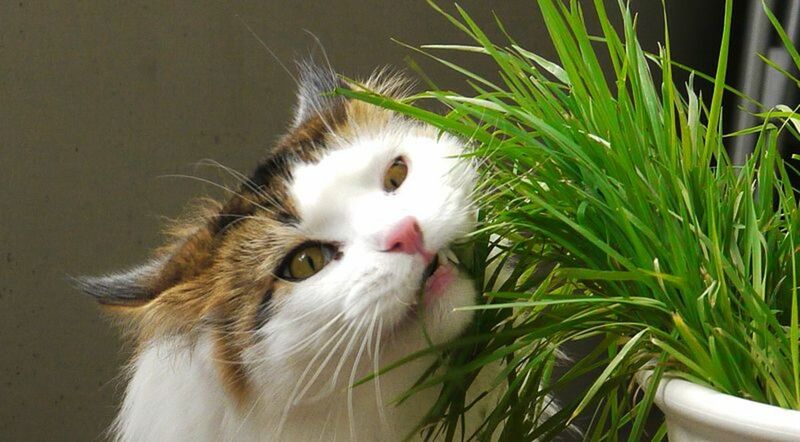 Maybe he thinks they are grass and he eats grass. The problem is that I have around 150 daylilies. I used to collect the different varieties and even hybridized some myself. An option is to use that spray from the pet store that keeps pets away from plants. Thank you for this very comprehensive (and terrifying) list... I am going to have to do a thorough inventory of my yard and gardens because I have most of the most pet-noxious plants growing in my yard, and we have a 'family member' who could be affected by nibbling on any number of them. I'm sharing this-- great work! erorantes, Thanks for viewing and thanks for the compliment. Thank you for your article on the plants that are bad for the dogs. You did a good job on your hub. mypuglovestomatoes, My dogs have had things with tomatoes in them and never got sick either. It says in large quantities though. If they eat the plant itself, they could be in trouble though. My pugs love tomatoes and have eaten them almost every day for as long as they have been alive, 15 & 16 years and counting. I keep my plants out of their reach or I would never get any tomatoes myself! As for the scent of the plants? My pugs circle tomato plants like sharks seeking blood. No joke. Temeguele, I'm sorry about your dog. Thanks for commenting. newudedcarssacram, Thanks for reading and commenting. You are right about us watching out for them. Great hub and i was wondering since 03 years ago why did my most liked suddingly died . Dogs wouldn’t know which plants are toxic for them, so we have to be careful instead. Thanks for the detailed information. It is very helpful. Jmillis2006, Thanks for reading the hub and commenting. Great hub, I had no clue about some of these plants being toxic to dogs. Bill, Thanks for reading the hub and commenting. I'm happy you found it helpful. loveofnight, Thanks for reading the hub. Most of these plants, your dog won't be interested in, but there are a few that your dog will give a try. Best of luck. muske, Thanks for reading and I'm happy I could help. thank you also for all that important information. I have 2 dogs and I often dogsit my son's dog when he travels oversees, his dog is a sharpee and extremely sensitive to all sort of things. But this list is very helpful and I will surely book mark this. Judy, All I can say is you need to get rid of those trees or put some fencing around them so he can't get near them. Maybe if you used the dog repellent spray that you can buy at most garden centers. It comes in an aerosol can and costs about $8-$9. My Chihuahua eats some kind of tree berries. He poops the berries out whole, but he usually has loose stools when he does. The stench is awful, not to mention he waits to get inside to poop. Any suggestions. I'd love to cut the trees down, but it's too expensive. iguidenetwork, Thanks for reading and commenting on the hub. The tomatoes and potatoes are something my dogs don't show any interest in. Thank goodness. Potatoes and tomatoes are both relatives of nightshade -- and all of them are really toxic. Good thing you have pictures so that I could really remember what they look like, so I won't let my pets near those plants. Thanks for informing. Voted up and shared. midget38, It is important information to know. Thanks for commenting and thanks for the compliment. I will not let my dogs near these, for sure!! Exciting information. Thanks for an excellent write! billybuc, Thanks for reading. It is important info to know if you have a dog, like I see in the photo you do. I have half the plants listed, but the dogs stay away from most of them and the worst ones, I don't have in their fenced in area. I'm certain I read this before but I don't see my comment. A sure sign of old age creeping upon me. Sigh! Great hub and very interesting; I didn't know any of this....but now I do and thank you! doc, Not the tomatoes! It is all parts of the plant. Sorry you misunderstood. Tomatoes? Toxic? That's a laugh. My labs rob me of my tomatoes for 3 solid months every summer. Their faces are green from foraging in the tomato bushes daily. Sometimes they don't even wait until they ar red. They just eat them regardless. Tomatoe cages? worthless! Chicken wire? helpful, but in the long run they find the weakest point and take advantage. If I were not so pissed off, it would be hilarious. stepnek, Puppies can be like that. My sister's new pup tried to eat a ceramic pot that she had flowers in. I'm happy you can use the information. Thanks for reading and commenting. 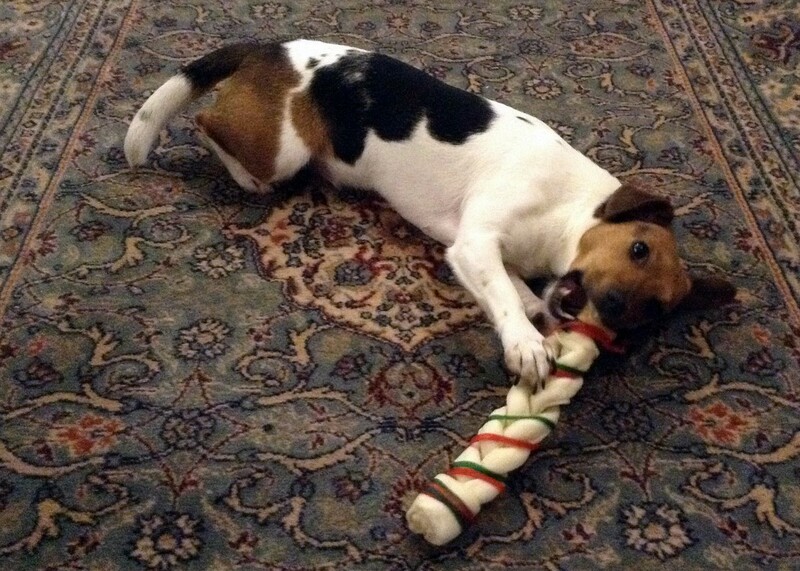 We have a ten week old very active Jack Russel puppy who thinks that everything there is to be eaten. Fortunately our garden is only slightly cultivated and I have fenced off the plants as I just don't want her destroying them. It didn't occur to me that some might actually be toxic. Your list was very useful to read and reference and has certainly made be think about being even more cautious with our new puppy. A good hub. Thank you. mrpooper, I didn't know myself, until my dog ate something that is shouldn't have. Then I started doing the research. Thanks for reading and sharing. I imagine a lot of pet owners aren't aware of this. Thanks for sharing. I'm forwarding this to every pet owner I know. amir, Thanks for reading the hub and commenting. Vegas Elias, My mother always said that about the tomato plants. Isn't that funny. Tomatoes plants put off a scent that I don't think the dogs would want to eat them anyways. Thanks for commenting. A very useful hub indeed. You have given a comprehensive list of plants toxic to dogs. I am surprised to learn that potato and tomato plants are also toxic; though I heard my mother say so about the potato plant many years back. Ask Ashley, I'm happy that I could help. Thanks for reading the hub. What a helpful hub! Before I plant anything new in my yard, I always research the plants for animal safety, but this will be a big time saver for me now. Thank you for the thorough research. Bookmarked and voted up! Green Dog VT, I'm happy I could help. Most of these, your dog won't touch. Our dog did it when we put him on a much needed diet. That's all I can figure out is why he'd eat something like that. Thanks for reading and commenting. Thanks I would have never even thought of most of these plants you may have saved my dogs life. GaelicQueen, I'm sorry to hear about your dog. Why they eat some of the things they do makes me wonder. Thanks for commenting. Debby, We quit letting our dogs eat things with onions and garlic. Maybe we can let them have a bite of pizza again. Just one of my dogs tries to eat plants he shouldn't be. The other won't touch them. Thanks for commenting. Thank you for the insightful article. My terrier tried to make a salad bar out of my potted Lantana plant. It has made her liver toxic and vet is treating her with special G.I. lowfat diet and liver support soft chews. P.S. Congratulations on the AWARD WINNING HUB! rebecca, Thanks for reading the hub. The good news is that they don't try to eat all of them, but accidents do happen. Thanks for commenting. Poor Beau. Thanks so much for making us aware of toxic plants and pets. I knew about a few but nothing as extensive as this. Surprisingly long list! MasterPlanter, I haven't found any, but you've given me something to research. Thanks for reading. Are there any plants that dogs dislike the smell of but won't be fatal to them or other household pets like cats? 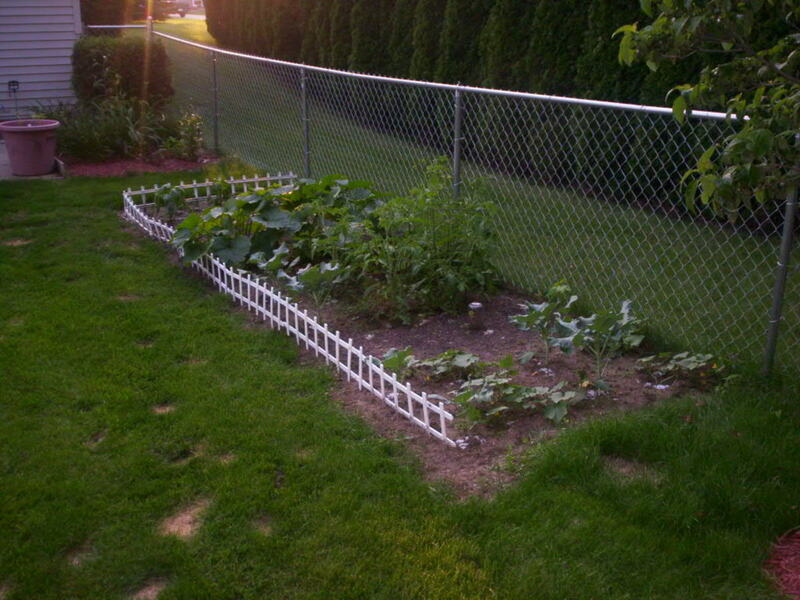 It seems like it would be an easy and humane way to keep dogs away from certain areas just by planting certain plants there. Very comprehensive guide here, so many traps for the unwary! Well done on putting this resource together. Nifwlseirff, Thanks for visiting the hub and giving the info about peace lilies. I think they are much the same as Asiatic lilies. Moonlake, I didn’t include houseplants. I need to write another hub about those. Thanks for the extra information. It makes you wonder why dogs eat some of these things. Uniquearticlesbuz, anjali, imkd, Thanks for visiting the hub and commenting. I’m happy you found the list helpful. dingy skipper, princesswithapen, Thanks for sharing and visiting the hub. I’m happy that it can help someone. Pamela, Thanks for commenting and the compliment about my dog. I’m sorry to say that Abby as passed away. We now have a Brittany spaniel. Thank you for a very useful list of plants that are dangerous for dogs. This is a great hub to make people think about what they have in their garden if they have a dog in their family. Congratulations for getting the Hub of the Day accolade! Congratulations on being chosen hub of the day. Don't forget the lowly Diffenbachia, also known as mother-in-laws tongue. It will paralyze the vocal chords in animals and pets. It can also cause death. My dogs never eat the plants except one would dig up the carrots and eat them. They do not damage. The cat loves my house plants though. I have to keep them in the room that she is not allowed in. The gerbils live there too. She has tried to eat them also. This is a great hub! It will be good to check our garden for toxic plants this coming spring - we have a Golden Retriever puppy and I don't want him to eat anything toxic! I once read that cocoa mulch was toxic to dogs, so we didn't put it down this last summer! Congratulations on being chosen Hub of the day !! lot of good information ! What a great hub, and you probably saved more than one heart broken dog owner. I will definitely refer back to this. Barbara Kay, my mom loved Lily of the Valley but I remember her warning my brother and myself to never, ever touch it. That it was poisonous. So, I guess humans need to stay away, too. Great Hub. Very informative hub! I've had multiple dogs growing up and I must say none of them have tried to eat from my dad's extensive and ever expanding flower garden. They seem more interested in animals and grass than anything. But then again most animals have better instincts than humans and know what they can and cannot eat. For example deer know that daffodils are poisonous and will not go near them. Beau may have been eating grass to clean his system. Dogs tend to do that when they don't feel the best, however it does make them throw up. Congratulations on being chosen Hub of the day. Most of these are toxic to cats too. Great job! Congratulations on Hub of the Day--well deserved! 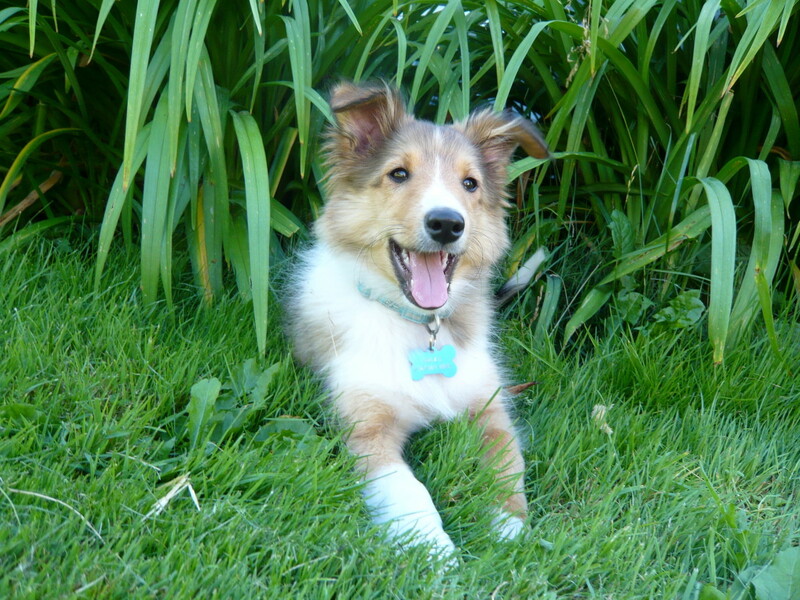 There certainly are many, many plants that can cause problems for our pets. Cats are usually pickier about what they eat..but years back, I did have a cat that ended for me any thought of having houseplants, as anything in a plantpot, he thought was salad; and if I put it where the cat couldn't reach, I'd forget to water it, and the plant died anyhow. Better the plant than the cat, and I prefer my cats. Barbara Kay: Congratulation on Hub of the Day...This information definitely needs to be in the hands of all of those who have dogs...I do not have one now...long story...but I have 4 cats, all outside so I am concerned about toxic plants for them as well. I will share this hub with my friends and family who have dogs that are not dogs they are members of their family as are my kitties. Oh, one more thing. Make sure you show your dog which things are appropriate to play with. That way when they start chewing a plant, you must watch them, tell them no and give them a chew toy. They will never learn unless you do this repeatedly until they get it. Thank you to everyone for commenting on the hub. I didn't include houseplants on this list, but it sounds like I should. I'd answer each comment individually, but there are so many I'm a bit overwhelmed. I'm so happy to get the hub of the day. Keep kids and adults away from these plants, too. I would also recommend directing your dogs attention to a chew toy or some other safe play activity if they are showing interest in the plants. My dog only chews the long grass in our backyard, which doesn't bother her, she just likes grass. 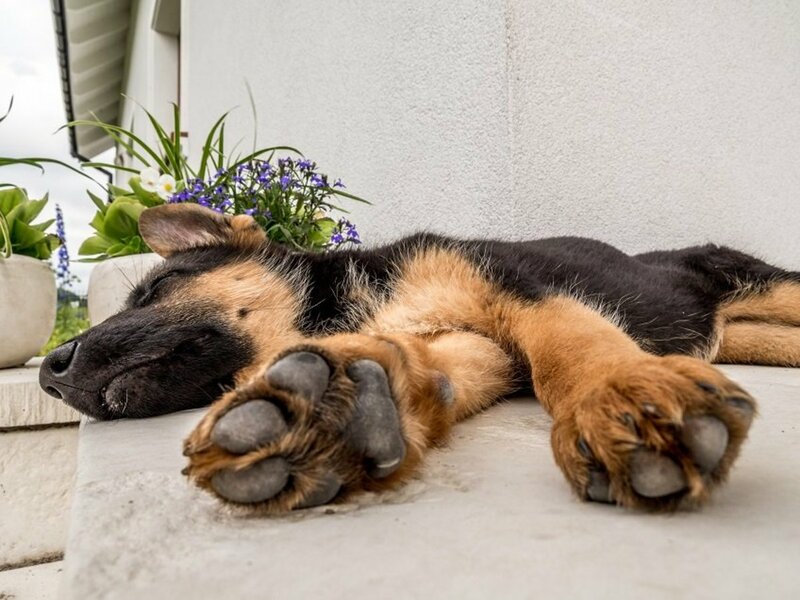 I would also recommend that puppies or dogs should never be left unattended in the backyard as that can lead to problems: such as, digging, barking, boredom, eating things (plants, rocks), separation anxiety. Dogs are social and want to be with you, you must show them which things are play toys and which things are not (such as toxic plants). Have a kennel in your backyard to keep them contained and practice putting them in it every day for a little bit until they are used to being in the kennel longer. Thanks for sharing this thorough list. Congrats on Hub of the day for an important hub! This was extremely helpful. I had no idea about onions and garlic. That nixes any leftovers at my house. Even though I'm new to having a dog, some of the plants mentioned I was aware of, others were a revelation. I, too, will bookmark this for future reference. Thanks for the research and for sharing with us. Congrats on Hub of the Day. As a dog lover, I value anything about my pet's health. I did't see any mention of the Poinsettia plant. I was told it was toxic to dogs. I got a beautiful one for Christmas, but I won't put it in the house for fear "Baby" will get into it. People will be getting these plants for Christmas, and they should check out if that is correct info. Good Hub. I voted it UP, etc. This is an excellent resource that I have bookmarked. Right now our dog can only go out on a leash with us, but if the time comes when we fence in the yard I want to be sure to avoid any plants that can make her sick. Thanks for sharing and congratulations on hub of the day. Congratulations on Hub of the Day. My sister has a Boxer that will eat anything. I'm going to share this with her. I would add philodendron to the list. Our dog ate one of our house plants one time and we had to rush her to the vet. He gave her something to make her vomit. Lily of the Valley is also toxic to dogs. We have them growing in our yard, we didn't plant them and I have pulled them out but they keep coming. Their right in a spot where the dogs like to run after chippers. Congratulation on hub of the day. Great hub. Peace lillies are common indoor houseplants, and are part of the spathiphyllum genus, which is toxic to both animals and humans when eaten. Thanks for an important and informative hub! glad to read you hub. i always live my dog but didn't consider these things. First, your dog is absolutely adorable. This is a very informative hub that I will bookmark for future reference. I learned many things I didn't know before, so thank you for being so thorough. This is an extensive list, nicely done! 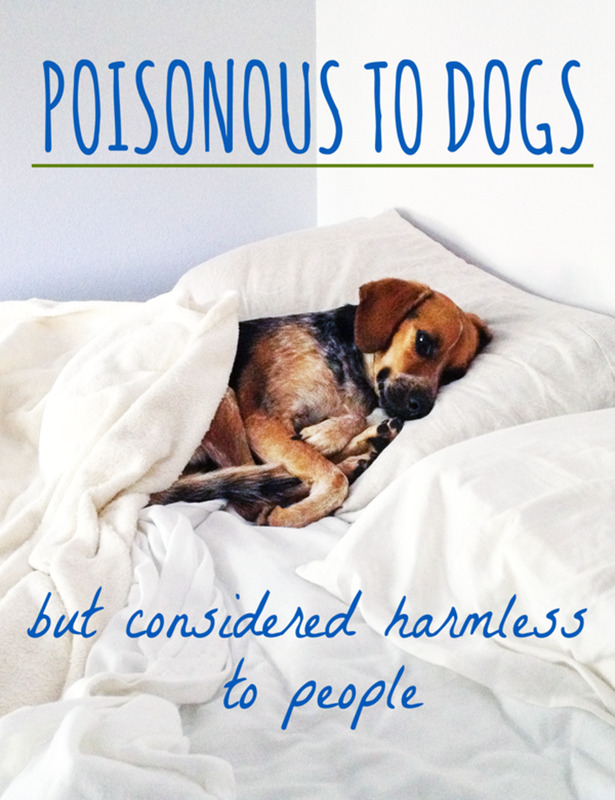 Its amazing to see how even some common plants are poisonous to pooches. I remember reading a similar list for cats made by a fellow hubber that I had bookmarked a few months back. I am going to bookmark this list too and pass it around to fellow dog lovers. doodlebugs, Thanks for commenting. Most dogs will leave these things alone, but then you get a dog like our Beau and don't ask me why he'll eat anything. We had him on a diet, because he's chunky. Maybe he thought he was starving?? This is good knowledge to have though. Wow, lantanas? I had no idea. I have them planted all over the place but so far the dogs have left them alone. Good info to know though, since they like to chew on sticks. I suppose that the twigs and sticks from dead lantanas could be poisonous too. Better Yourself, When I first researched I was shocked. I have a Brittany that thinks everything is edible and we have plants all over our yard. I'm going to do some moving around next year, since we have a fenced in area for him. Wow - didn't realize so many plants were dangerous to my dogs. Thanks for sharing - Great hub! Jangaplanet, My dog is allergic to grass too, but it doesn't seem to bother him unless it is wet. Many of these plants are dangerous for cats too, but cats have an entirely different list of plants that will bother them. I was surprised by this. I should probably do an article on cats too. Hi Barbara, Useful and interesting information. I was completely oblivious that certain plants were toxic for dogs. Luckily for me I do not have any sitting around the house nor in the yard. Although my dog did get a rash once and the vet told me it was the caused by the wet grass while playing outside. Do these plants affect only dogs or other house pets as well? Great hub, vote up and interesting! diseasessymptoms, I'd love to have 6 dogs, but I'm afraid there would be times our household would be chaos since we allow them in the house. We now have two, but have adult children that visit often. I hope this hub saves some dogs some problems or even death. Hi Barbara, these are really new information for me. I'll be careful next time I plant a seed in our backyard. We have many adapted pets. I think we have 6 adapted dogs. I wouldn't want any of them be poisoned by those plants you mentioned. Thanks again. Cardia, I was shocked that our dog Beau got so sick from the daylilies leaves. After that I decided to do some research. I was shocked that so many plants could actually kill our dogs. 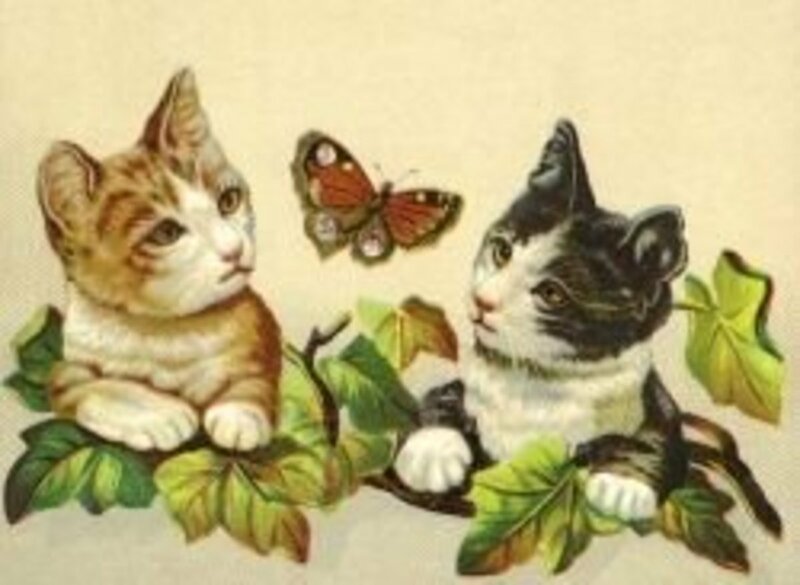 Barbara, I had no idea that some of these plants were toxic for our dogs. Thanks for sharing! homesteadbound, I didn't know ham was bad for them. Thanks for the information. vocalcoach, I think marigolds are alright. At least I didn't find that there was anything wrong with them. Dogs usually don't like the smell of tomatoes and onions. They usually don't like daylilies either though and Beau ate them anyways. Thanks for commenting. munirahmadmughal, Yes a fence around the area would help. Thanks for visiting. feelhungry, Too bad there isn't a positive answer on this one. Barbara, I did some research previously as well. And, I also got mixed opinions. Yes. I would give my dogs some small quantities. He really loves the smell of the Durian though. 7 years ago from Lahore, Pakistan. Highly informative hub with a sense of spreading knowledge to avoid cruelty to animals in innocent manners. As human beings we must behave in a manner which does not cause hurt to any other creation. To grow the plants is everybody's right but where such growth is toxic or fatal a degree of care is there as a social demand. A fence around such plantation may reduce such danger. OMG - I had no idea that these plants were toxic to dogs. I have tomatoes growing and acouple of onion plants. I also have marigolds - are they alright? So very very grateful to you for this information. A huge thank you and voted up and across the board, except for funny. Nothing funny about poisoning our doggies. And good luck on the hub challenge! Wow. That's quite a list of plants. I have several of them, fortunately my dogs don't eat them. Along the same lines, I used to work with a guy who feed his dog ham. He said it killed him. He said the vet said that some purebreeds have a problem with ham. The trichonosis that is in the ham, attacked its intestines and caused internal bleeeding and killed the dog. So sad. Thanks for such a comprehensive list. Dirt Farmer,Sorry to say, but some plants are toxic to cats that aren't to dogs and vice versa. 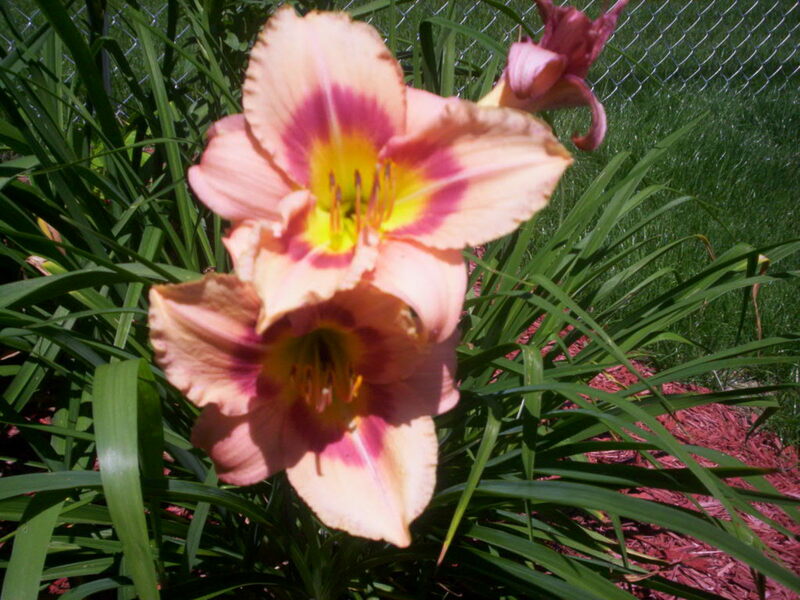 Daylilies are a good example. They only upset a dog's stomach, but are considered toxic to cats. One of these days I'll get around to writing a list of plants toxic to cats. What helpful hub! Fortunately our dog doesn't eat plants (he just steps on them), but my cat never met a plant he didn't want to eat. I decided not to tackle the outdoor plants as it pretty much seemed that almost everything had some degree of either mild irritation or worse to dogs. I just focused on indoor list in Teddy's Tidbits (which also included flowers that people may cut from their garden and bring indoors. Nice job on the list. Just Ask Susan, Thanks for commenting. I don't think most dogs would eat daylilies. I can't figure out why Beau ate them. feelhungry, I looked this up online and one site said not to feed Durian to dogs and another said that it is alright, but to only let them have small quantities. So, the answer is really I'm not sure. catsimmons, That was a wise choice both ways.Thanks for commenting. thoughtforce, Thanks for stopping by. My dogs don't seem to like the vegetable garden. I catch Beau eating grass all the time too and then he throws it up. I don't know what is problem is.